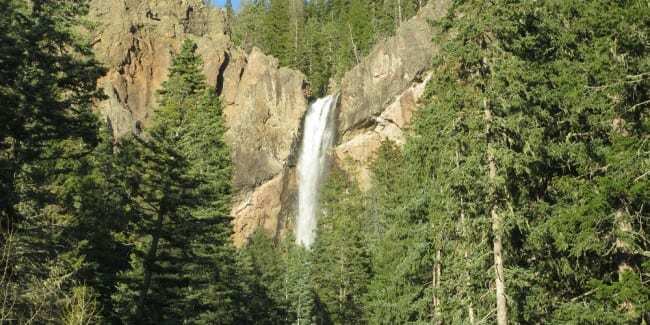 Treasure Falls is an easy to reach waterfall, situated fifteen miles east of Pagosa Springs on Highway 160. 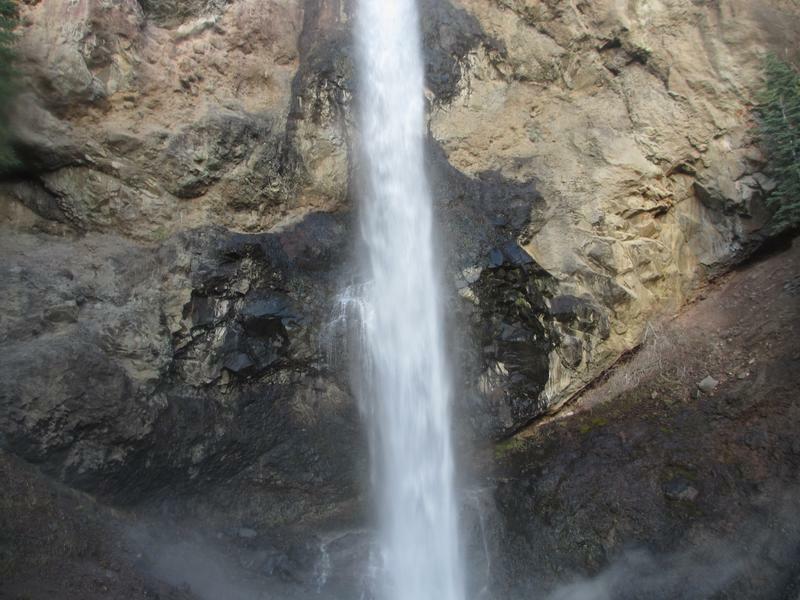 The waterfall is visible from the parking area, but requires a short uphill hike to get near the base. This a great side-trip for anyone traveling on Highway 160, in need of a good stretch. For those short on time, it’s still worth a quick pull-over and view from the parking lot. 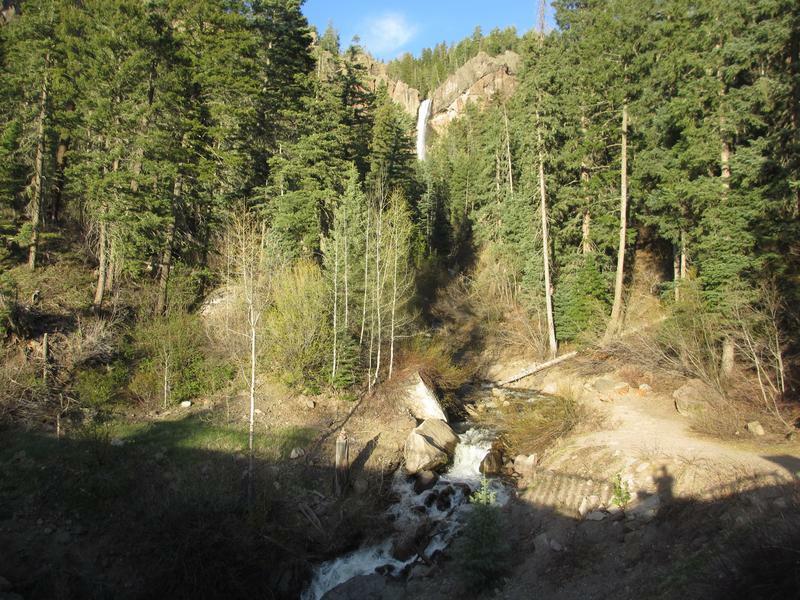 The waterfall cascades 105 feet into Falls Creek, which connects with the San Juan River. 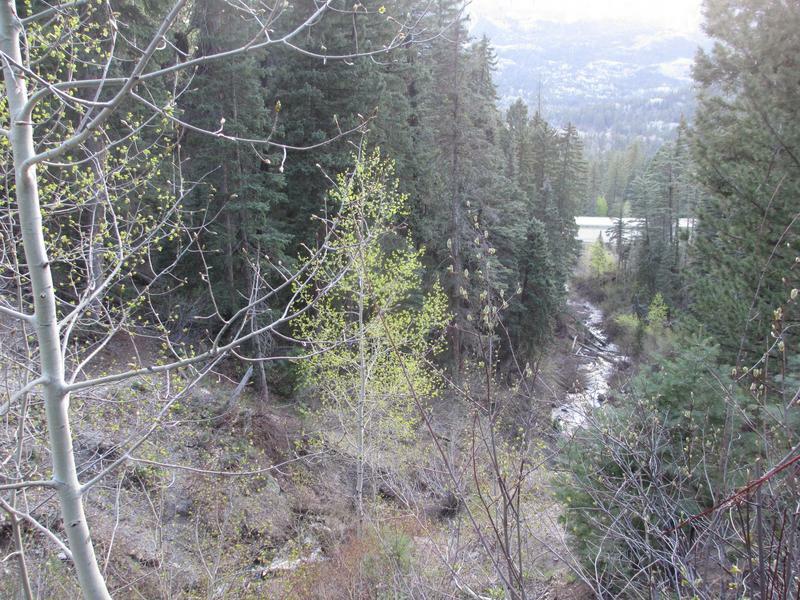 The San Juan begins at the top of Wolf Creek Pass and then flows west all the way to the Gulf of California. 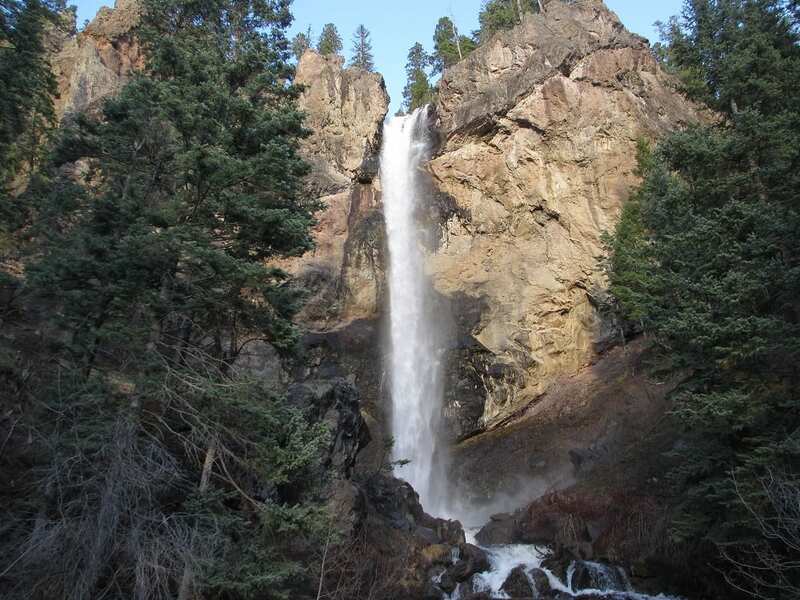 The name Treasure Falls came from Treasure Mountain, which as the legends goes, holds buried gold. In the late 1700s about 300 Frenchmen secretly entered the San Juan Mountains, which was Spanish turf. They struck it rich near the mountain, but were faced with brutal winters, Indian attacks and disease. Only two Frenchmen returned east to tell the tale. 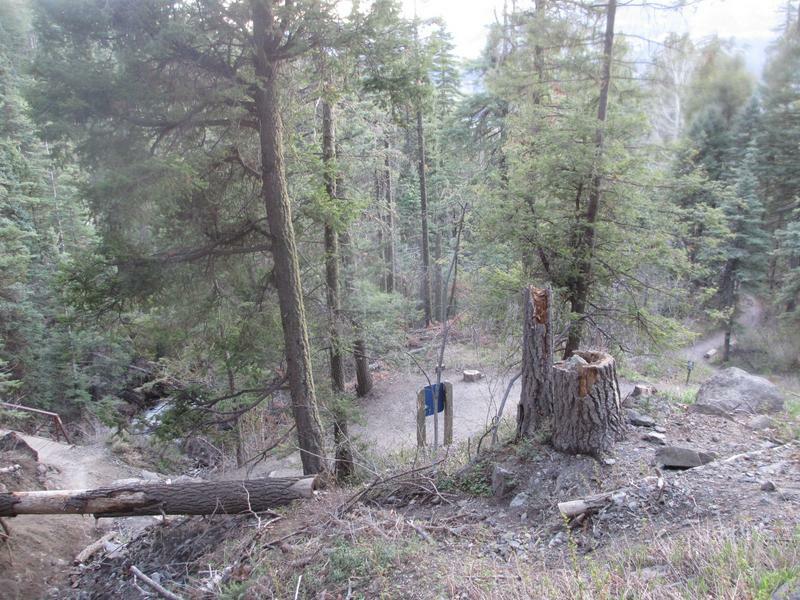 The trail is a well maintained set of dirt switch backs up the side of a densely-forested hill. 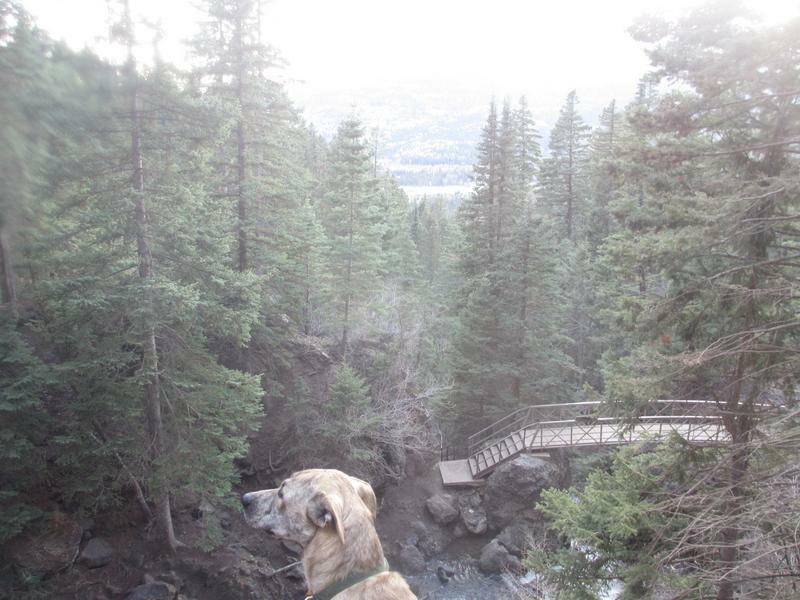 The views at the top are exceptional. 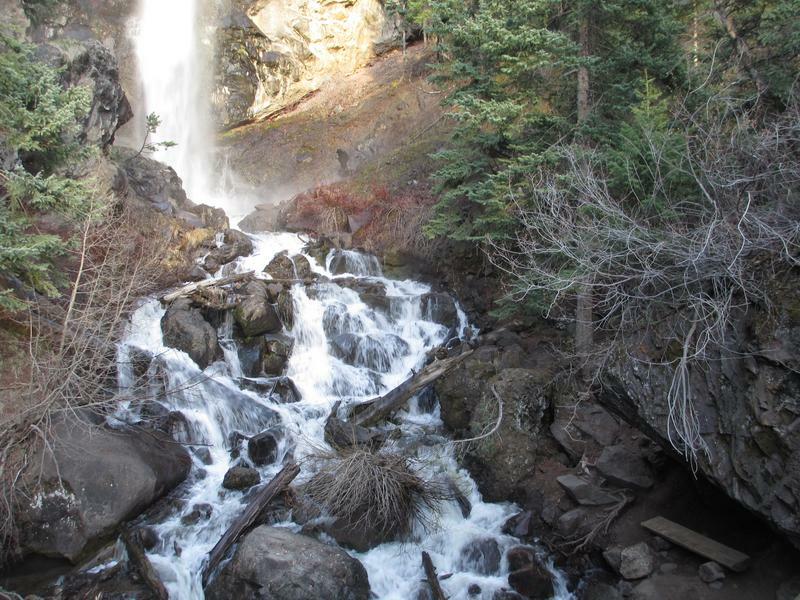 It’s about 1/4 of a mile trek to the falls, with an elevation gain of over 300 ft. Plan for about 30-45 minutes round trip. 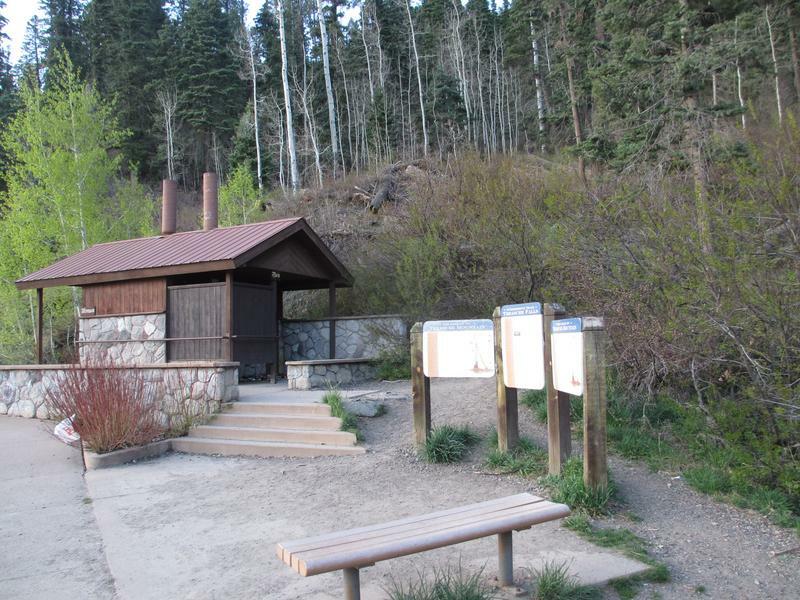 The parking area for the falls are about halfway up Wolf Creek pass before the ski area (if you’re coming from Pagosa). Falls Creek connects with the San Juan further down the hill. Switchbacks through the pine forest. 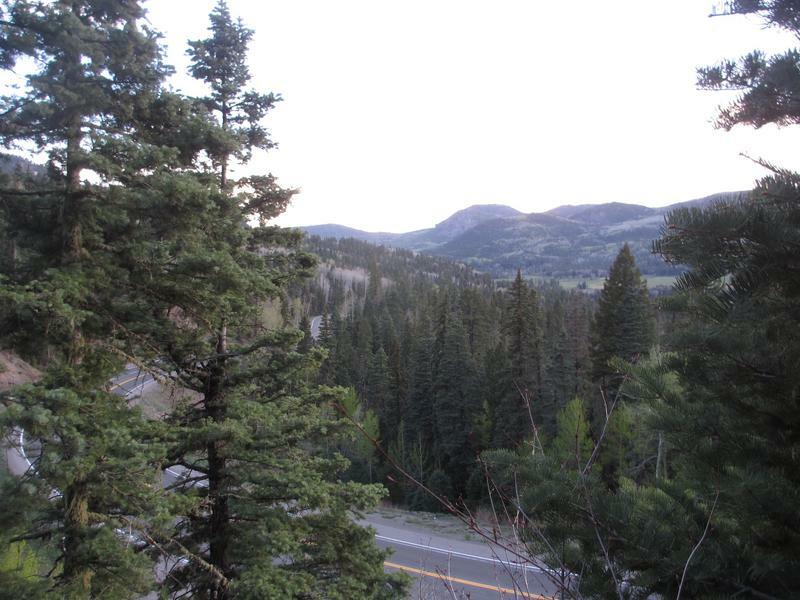 Highway 160 towards Pagosa Springs. 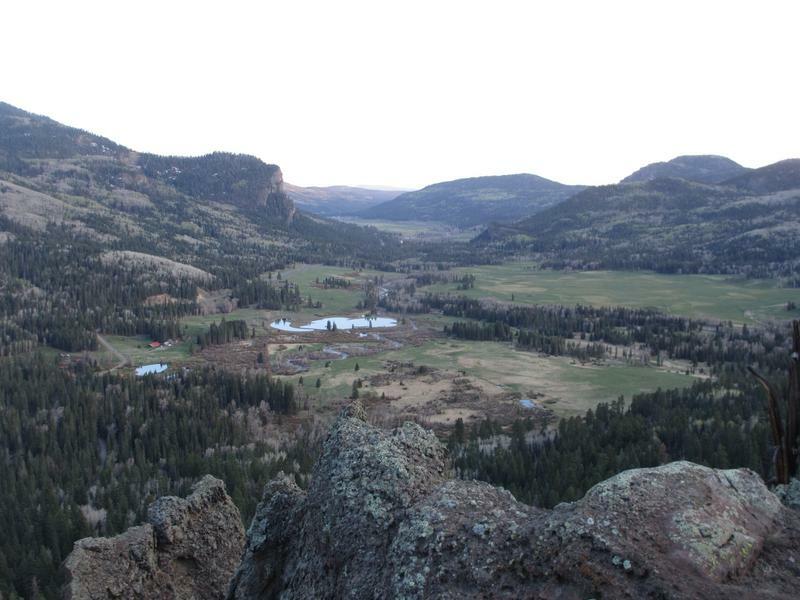 View looking west, from higher up Wolf Creek Pass.